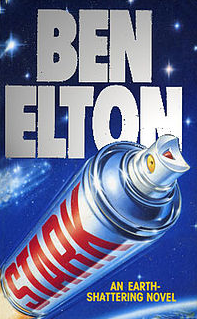 I just picked up a copy of Ben Elton’s Stark at the local op shop, for, wait for it… 10 cents. I felt guilty, so I gave them 20 cents. Clearly I’m quite the philanthropist. It made me wonder how a book that was, in its time so incredibly popular, could years later find itself in the 10 cent basket out the front of a random opportunity shop? But it was to my fortune, as I’m going through retro phase at the moment, reminiscing on all things 1990s and given that I don’t actually own a copy of this humorous novel, it’ll go quite nicely with my collection of 90s books and music. I do, nonetheless, having a sneaking suspicion that this retro indulgence might be a small sign of my ageing…am I right to worry?